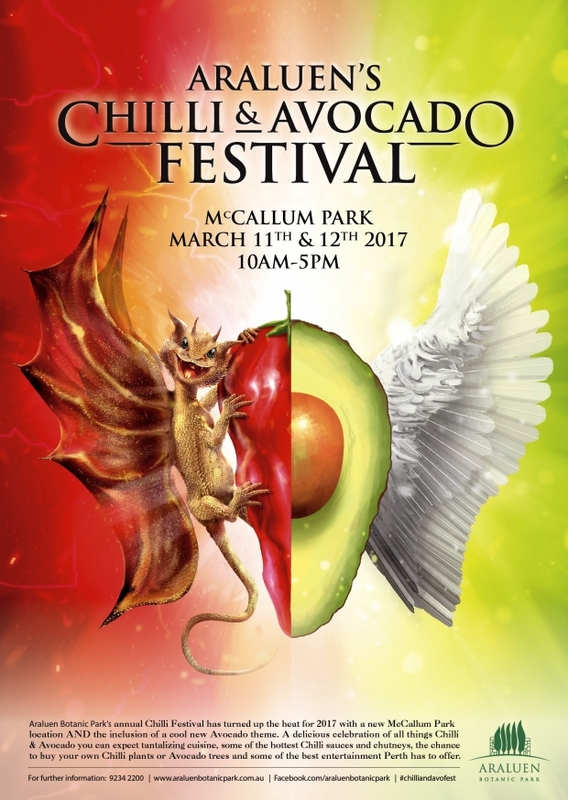 Perth’s hottest food festival just got a whole lot smoother with the superfood fusion of Chilli and Avocado! Araluen Botanic Park is excited to bring the Hills to the suburbs with this flavorsome Festival's new home at McCallum Park on the Swan River. Think you can handle the heat? Taste the hottest chilli sauces and chutneys, enjoy a chilled chilli beer or buy your very own Carolina Reaper – the world’s hottest chilli plant! If silky smooth is more your style, come and experience the Perth Hills best produce or tantalise your taste buds with Avocado cocktails, the smoothest Avo’ gelato and even skincare products. With over 90 stalls, 3 stages of live entertainment, cooking demo's, competitions and more, this event is not to be missed! Buy your tickets online now and go in the draw to win a 3-night stay, 2-day tour for two people in Indonesia, donated by our sponsors Wonderful Indonesia and Easy Event Perth!